at each of the 4 corners. 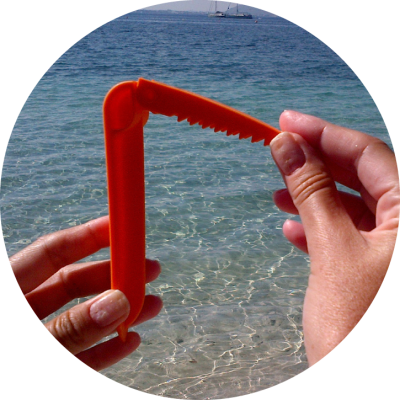 Welcome to the home of ‘The Beach Towel Clip’ the multi award winning 100% British made beach accessory as seen on TV & beaches around the world. 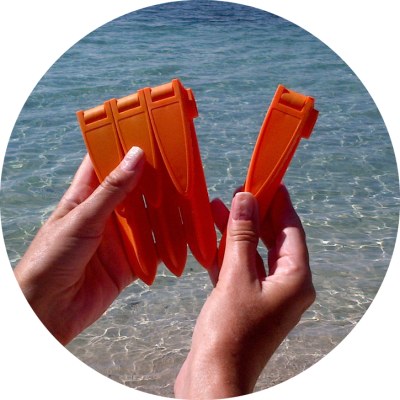 Gone are the days of spending your holiday searching for stones on the beach to keep your towel in place. 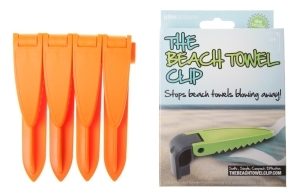 No need to use your flip flops or bags to keep your towel from blowing away every time you go for a dip in the sea. 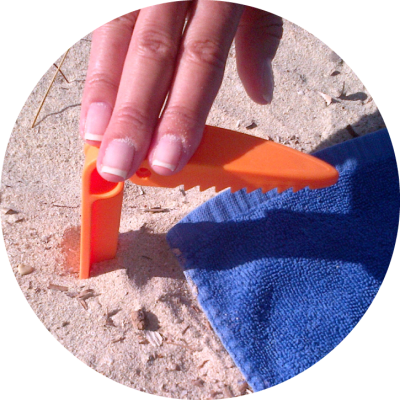 Simply snap apart, fold open and push into the sand at all four corners to keep your beach towel or picnic blanket in place. Available now from stockists worldwide or direct from our own easy to use shop page.